Present state: The station building (minus water tank) has been converted into a two-storey house, and the signal box is imaginatively transformed for residential use. All three platforms also survive as does the waiting shelter on the down BCR platform. The engine shed is in agricultural use. Notes: Reedsmouth Junction is at the junction of the Border Counties railway and the Wansbeck Railway. Reedsmouth was the spelling of the location when the BCR/NBR opened the station, and they obstinately retained this rendering of the name, rather than Redesmouth, the name of the village to which the station gave birth. Although popularly called Reedsmouth Junction, nameboards and timetables did not use the suffix. In 1860 there were few dwellings nearby, but the ‘railway village’ was created by the NBR. 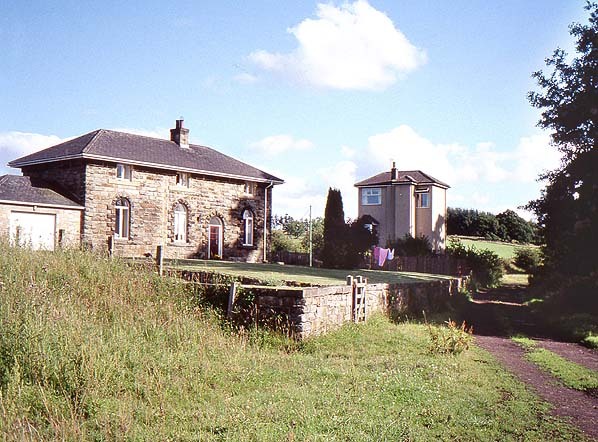 A row of cottages on the station approach was later joined by a mission hall and a shop. 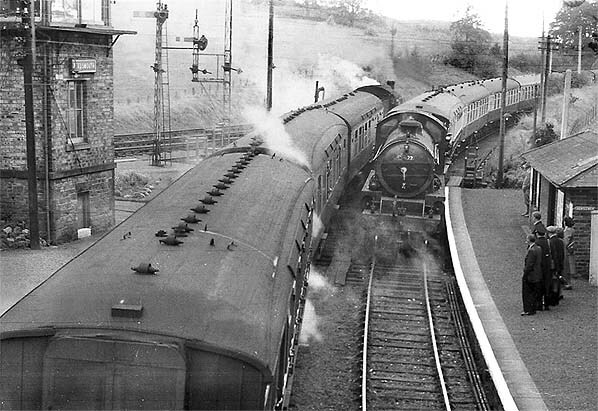 Reedmouth’s importance depended upon its junction where passengers interchanged between Border Counties and Wansbeck trains, and goods marshalling was carried out. 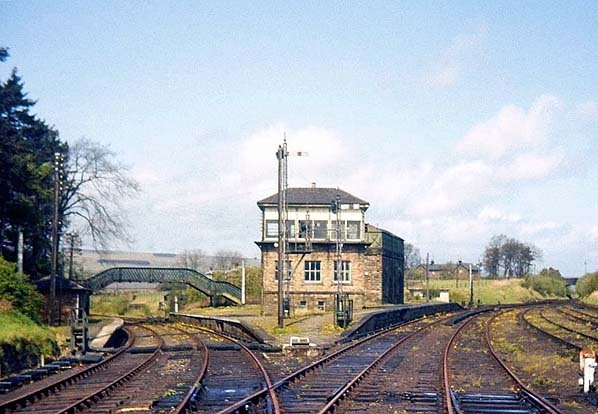 Scottish and English train crews exchanged here, the station possessed the Border Counties’ only turntable. A two road brick engine shed housing up to six locos was opened 300 yards north of the station on 1st July 1862. Eight men were based there; four drivers and four cleaner-firemen. The shed closed in 1952. Reedsmouth station closed to passengers on 15th October 1956 but remained open for passenger excursions and goods traffic until 11th November 1963. After closure the station was derelict for many years, but has been adopted for residential use. 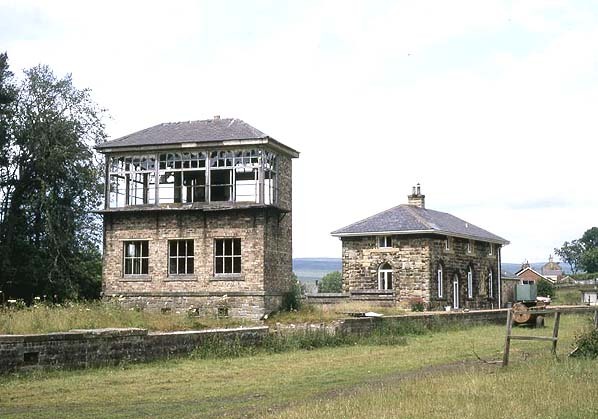 Initially the station building was converted into a private residence in c.early 1980s; the signal box remained derelict for many more years finally being converted into another residence in the late 1980s. The final summer timetable (NE Region 1956) is reproduced. 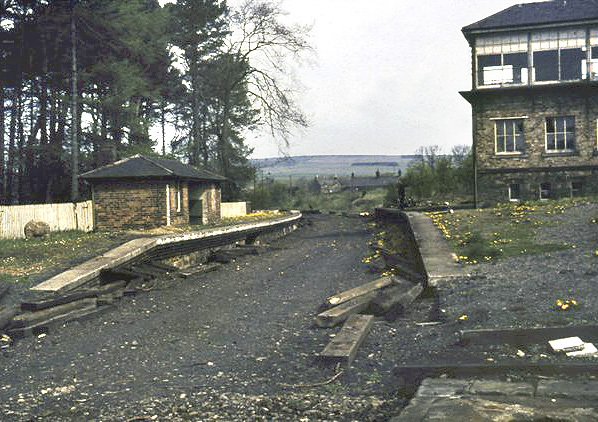 The extra Saturday trains principally served Forestry Commission workers and families based at Kielder. Wall station is absent, having closed in 1955. 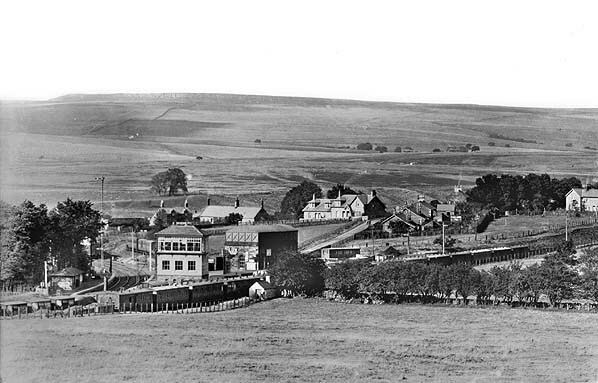 Goods traffic on the Border Counties included livestock –there were marts at Hexham, Bellingham, and Scotsgap- coal and coke, stone, lime, road chippings, cement, pipes, timber, and beer. (The Border Counties was known to some as ‘The Beer Line’!) In the 1930s the railway conveyed the seedlings from Aviemore for planting Kielder Forest. One interesting goods working on the Border Counties was a Tuesday-only meat train from Hawick dep. 1:00 pm, which was attached at Hexham to the 5:05 pm passenger train for Newcastle. Here it was attached to the Edinburgh to Kings Cross (East Yard) meat express, leaving Newcastle at 6:17 pm and reaching its destination at 1:02 am. In World War II military supplies were carried to training areas. Several sidings along the route served industrial premises. 1890 used from about 1890 to 1920 by a sawmill. Mill Knock siding near Countess Park served a quarry tramway at the time of World War I. 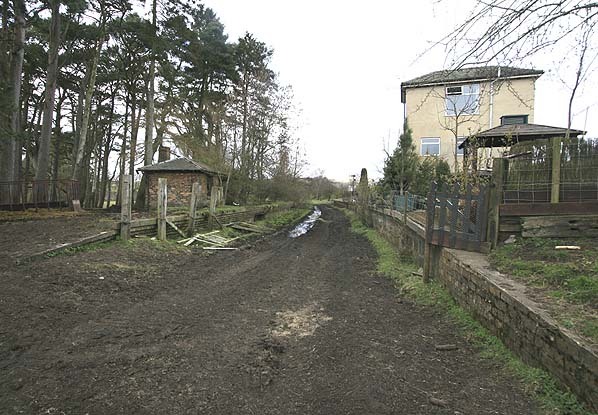 In the early days a siding served a colliery and tile works west of Thorneyburn. Hawkhope Hill drift mine was served by a siding and tramway north of Falstone. 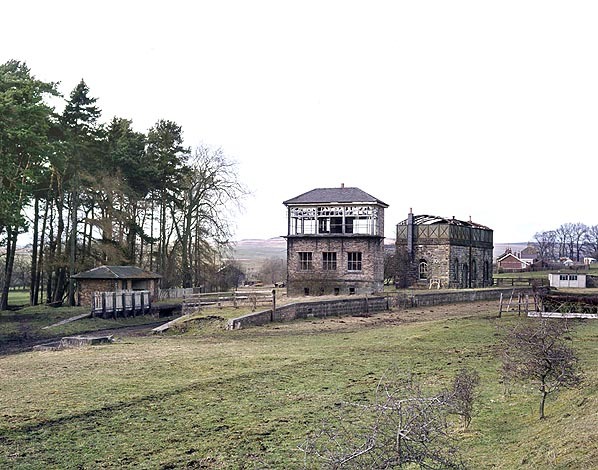 In the 1860s-70s sidings served Bellsburn quarry one mile north of Kielder; Thorlieshope limeworks northwest of Deadwater; and Muirdykes quarry a further half-mile beyond. 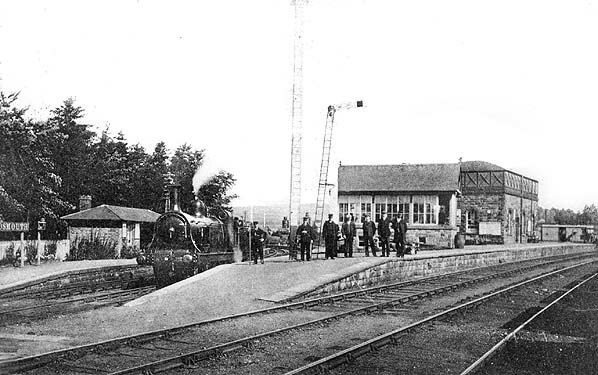 In addition mineral branches joined at Humshaugh and Plashetts stations. Goods traffic also declined after World War II. After 1945 one through goods service used the line. The only local goods train left Riccarton at 7:20 am making a leisurely journey to Hexham and back, collecting and delivering whatever traffic was offered, and following no strict timetable. Reedsmouth engine shed closed on 13 September 1952. As traffic dwindled, track maintenance was neglected, and by 1955 a general speed limit of 35 mph applied, but only 10 mph over Border Counties Bridge, where a weight restriction was also imposed. The bridge had suffered flood damage in 1948. Proper repair was not considered worthwhile, and the poor condition of this bridge strengthened the case for closure. Wall station closed in 1955, and the entire line closed to passengers on 15 October 1956. The final day of services was Saturday 13 October, when the 11:10 am Newcastle-Hawick, and its return working, were designated a ‘closure excursion’. The day’s final train was the Saturday-only 9.15 pm Hexham-Kielder Forest in which passengers could to return to Hexham (arriving 12.30 am) in what was normally empty stock. (An excellent record of the last day’s trains was made on ciné film, and was compiled by the BBC into a fascinating programme Slow Train to Riccarton Junction.) Existing bus services were available between Hexham and Bellingham. Beyond Bellingham, no bus operator was willing to provide a service for the scattered communities. However the British Transport Commission persuaded Norman Fox motors to run a replacement service with a subsidy for three years. 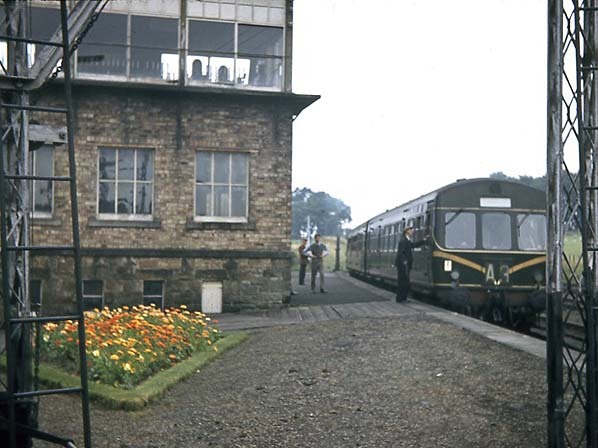 Thus a service, using elderly United vehicles, was introduced between Bellingham and Kielder, extended to Deadwater and Steele Road station on (Waverley Line) on Saturdays. Sadly, the TUCC file of correspondence regarding local dissatisfaction with the replacement buses is a weighty one! station master. Rails north of Bellingham and south of Reedsmouth were removed during 1959, and Border Counties Bridge was demolished, leaving the bases of the piers and cutwaters. The final Border Counties section closed entirely in November 1963, together with Reedsmouth-Woodburn. Two days earlier, a farewell dmu tour visited Bellingham, as well as Rothbury, which closed to all traffic at the same time. In 1964 Bellingham-Reedsmouth rails were lifted. still single storey at this time. Reedsmouth Station in c.1925 By this date the signal box had been rebuilt. last day of public service. 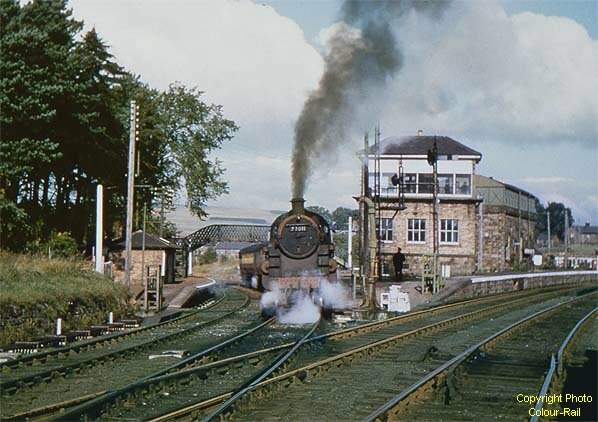 Reedsmouth Station (Wansbeck platform) looking north in 1986 after the station building had been converted into a private residence. Reedsmouth Station looking south in August 2000, shortly after the signal box was converted into a private residence.